If you’re like me — I always would associate massages with a “treat” but in all seriousness, massages do so much GOOD for our bodies that it should be part of a normal routine. 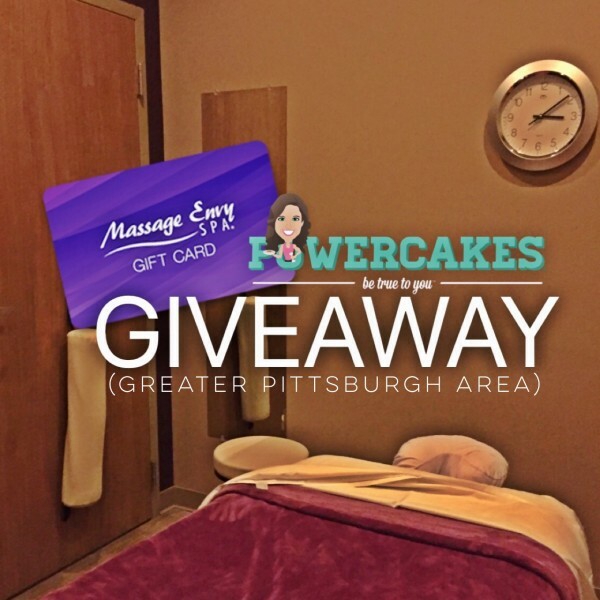 I’ve partnered up with Massage Envy to not only share the benefits of adding massages to your fitness routines, but to also offer a lucky winner from the greater Pittsburgh area (including Erie, PA & Morgantown, WV) a FREE HOUR MASSAGE! Massage is super beneficial when it comes to increasing range of motion in joints, reducing fatigue, improving endurance and preventing injuries. I have to tell you, that whenever I visited Massage Envy while I was home a few weeks ago, they truly take the time to sit with you & talk about your trigger points, where you’re tight, what you do as far as training or if you have an injury that needs help. It’s nice to have this kind of attention to really get the most out of your massage and that they can customize it to you and your lifestyle. Massage Envy offers a number of massage styles to fit your unique exercise routine, from a post-workout Swedish massage to a post-competition hot stone massage. Right before a big race or game, you probably will taper off your training to allow your body to be fully rested. This is the best time to get a sports massage. “A sports massage is all about loosening muscles up and getting them limber,” Weiss says. But there are different types of sports massages. For instance, a bodybuilder might need a very different type of sports massage than a marathoner. Be sure to tell your therapist about your competition so he or she can tailor the massage to your needs. After the event is over-nice medal, by the way-you should be all about relaxing. Hot stone massage isn’t just the ultimate reward for a job well done. It also offers deep relaxation, pain relief and enhanced range of motion. First know that massage should not be used as immediate treatment for a sports injury. If you are injured beyond typical muscle soreness, see your doctor right away. But once you’re on the road to recovery, deep tissue massage can help you heal faster. And it can help with chronic pain. It has also been found to reduce stress and improve mood, which may be necessary after an injury. Massage Envy is offering 1 lucky winner from the Greater Pittsburgh Area (including Erie, PA & Morgantown, WV) a free hour massage at your local Massage Envy. 1) Leave a comment below letting us know which area you’re from & what massage you would choose! 4) Subscribe to my Powercakes blog so you don’t miss a giveaway or post! This giveaway is open Greater Pittsburgh Area only (including Erie, PA & Morgantown, WV) until Tuesday November 10th, at midnight. Find a local massage envy [here]. Wishing I lived in Pittsburgh right about now! I’m from the South Hills of Pittsburgh. I love getting massages after weightlifting, and I’d definitely get a deep tissue massage to work out all those knots in my shoulders and back! This is such a great giveaway. Thanks, Kasey! I’m from San Diego and I’d get a hot stone massage since I’ve always wanted to try it! I already subscribe to the blog! I live in Monroeville and would LOVE the deep tissue massage! 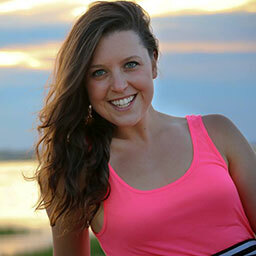 I live in the Moon Township/Robinson area and I LOVE massage envy for my deep tissue needs! I am from NEO and need a deep tissue massage! How exciting!! Im in St.Louis, MO and would absolutely love a deep tissue to really work through my shoulder injury! I’m from West Seneca NY (outside of Buffalo) I would love any massage. I am a fitness teacher and believe it or not I’ve never had a massage. Massage is good for fitness because it can promote blood circulation and if you have good and proper blood circulation then you will have a fit body. I’m from New Mexico and I would love a deep tissue massage because I have tension issues and this would be such a great gift. Hi Kasey! What I would give for a good massage right now! Scientific studies show a post-workout massage is good for you. Not only does it relax the mind and body, it’s also good for your muscles because it reduces inflammation and strengthens them.